Who knew avocado seeds would produce such lovely soft colors on fabric! In the pot, the dye is a lovely deep pink. The fabric turns out a soft smokey pink, but I've fallen for the amazing grays that resulted from adding just a touch of iron to the dye bath ..... not colors I've been able to produce before! 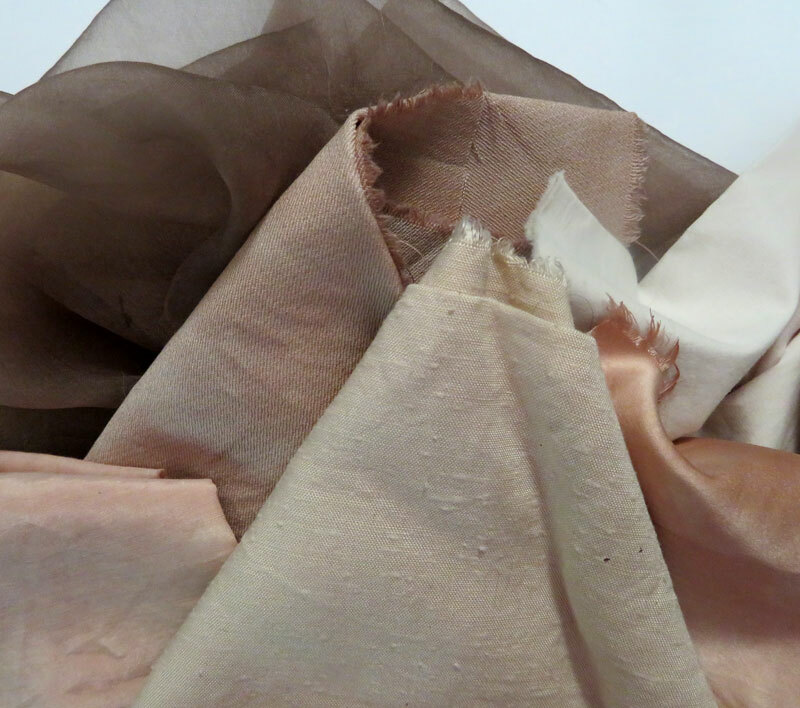 The silk organza just soaks up the color wonderfully ! !